Jaguar XE testing mule shown | What Car? Jaguar has shown a shot of one of the testing mules for its new XE saloon, which is due to be revealed later this year. The testing mule shows the basic shape and looks of the new BMW 3 Series rival; the camouflage used to disguise the car is designed to convey the car's underpinnings, while cladding is used to cover up its front end. 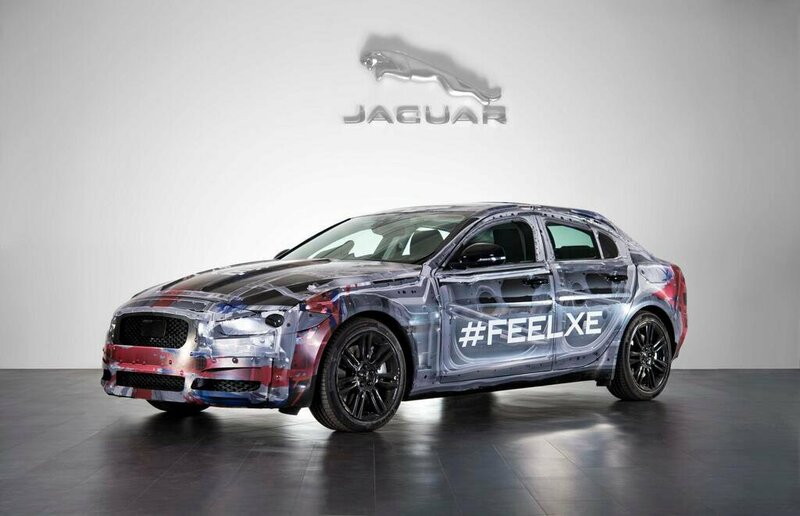 Jaguar has said that the XE will be based on a new aluminium monocoque platform. Jaguar has previously shown a front-end shot of the new car, and it will be revealed in full at the 2014 Paris motor show in October. Jaguar has confirmed that the XE will come with a series of 2.0-litre diesel engines, although it will also offer the 3.0-litre V6 petrol engine found in the new F-type sports car. The diesels are expected to emit less than 100g/km. The XE is set to rival the likes of the BMW 3 Series and the Mercedes C-Class, and will go on sale in 2015.